Resurfacing hip arthroplasty is an alternative method to traditional hip replacement in which a "cap" of metal is placed on top of the ball of the joint (the femoral head) instead of replacing it. This has advantage of increased stability, and also the advantage of making further surgery easier if the ball becomes worn or loose and requires replacing. There is no plastic socket to wear out (even if that would take 10 – 20 years) and the stem is less likely to come loose with heavy use. 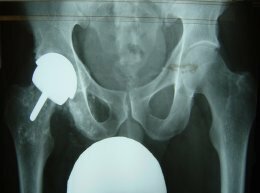 Resurfacing Hip Arthroplasty has therefore, a number of potential advantages, but patients are reminded that this technique does not have a long term track record at the present time. 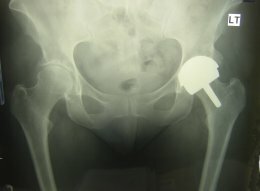 Hip replacement surgery is one of the most successful procedures that medical practice has to offer and it is difficult to improve on a highly successful technique. The Birmingham Hip is now widely regarded as the world leader in resurfacing technology, and Mr Tillman is very experienced in this technique and has assisted in training other surgeons in this procedure. 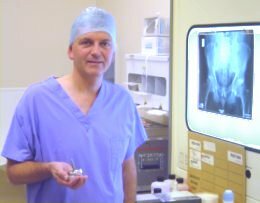 He was trained in the operation by Mr Derek McMinn who was the principle pioneer in metal-on-metal hip resurfacing. Is resurfacing suitable for everyone? No. Patients with osteoporosis (thinning of the bones) or who may have osteoporosis (eg women of retirement age who had an early menopause, patients who have received steroid therapy), are usually safer to have a tried and tested total hip replacement, either cemented or uncemented. Also, patients with previous hip surgery, unusual anatomy or significant shortening of the leg are often not suitable for resurfacing. The risks and complications of hip resurfacing are much the same as those associated with total hip replacement, but of course the neck of the femur (below the ball) has not been replaced and so fracture of the femoral neck can, and very occasionally does, occur. If a fracture occurs, then it is usually a straightforward matter to insert an uncemented stem with a metal cap so that the socket does not need replacement.